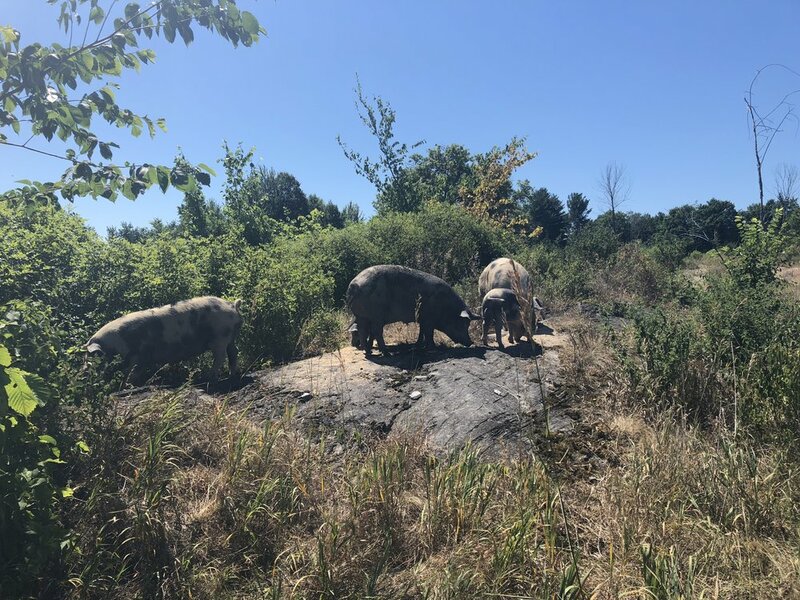 Last week we walked along side the herd of pigs to their summer home in the woods. This 0.5 mile walk, with three sow mamas and their babies was nerve racking & beautiful. Brandon believed that we could do it without putting the animals into a truck, as is common for this type of thing, and he was right. Campers helped us walk them out and the've been clearly loving it ever since. Attempt number one, we learned a lot! Attempt number 2! Much smoother. Gertie and her babies about half way there! 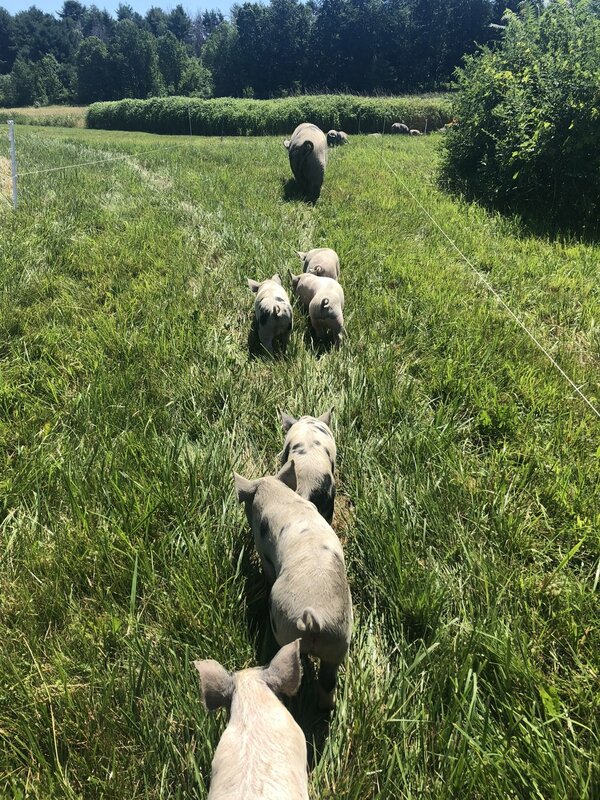 Farmer Alex and our camper helpers walking the pigs out! Almost there. Rocks and roots and trees, oh my! Pig's arriving at their mountain view home. Older PostBread & Butter Spring Video! !